Topic and interview list of Lets Talk Podcast. 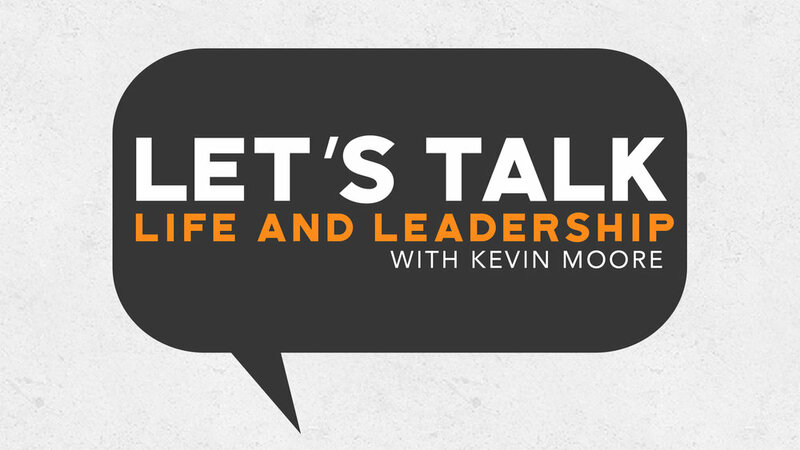 This past week, we launched our brand new podcast titled Lets Talk Life and Leadership. Each month I have the honor of interviewing leaders from every walk of life. These conversations are designed to help you lead yourself, family, team, and organization better than ever before. Here is the short list of the topics and the leaders we will be talking with this coming year on Lets Talk. Teaching and preaching more effective sermons. In this episode I will be interviewing Dan Lian and Brad Cooper from Newspring Church. They are incredible speakers and have practical insights for every type of communicator. Lessons learned from a first time Senior Pastor. I have the honor of sitting down with my good friend Whit George. Whit has stepped into the Senior Pastor position at Church on the Move. He talks about the ups and downs of his journey of being the Senior Leader for the very first time. How to make a father / son ministry team work. This is a very open conversation with my son Jordan Moore. We have worked side by side in ministry in some way for more than 7 years. We get into the good, bad, and ugly of making it work. Adam Starling is the Senior Pastor of Victory Family Church in Norman, Ok. His church body is growing rapidly, however, it has not always been easy. In this episode, Adam will talk about some of the things he has done to lead his organization through tough times. Leading life giving small groups. Growth happens best in a group. Dereck Olsen from the Small Group Network will be giving us helpful tips on how to be a part of a church that has an growing small group ministry. Getting off of "Leadership Island". Dan Ohlerking from the ARC church planting network works with Senior Pastors all over America that are not just feeling alone, they are alone. He shares invaluable tips on the dangers of isolation and the joys of community. Veronica and I have been married for 28 years. We have served in one form of ministry or another for 26 of those years. This conversation is very real and raw, as we open up and talk about how to make a marriage work in the midst of leading in public ministry. Making a long term impact in a community. Brian Shepherd is the principle of Ligonier Elementary School. He has served in the Ligonier school system for more than 30 years. In this episode Brian talks about leadership, as well as the joys of digging deep and leaving an imprint in a community. Pastoring in a small town. Dave Engbrecht is one of the mentors in my life. He Pastors Nappanee Missionary Church. A large, vibrant, influential church, in a rural community of only 6,000 people. If you want to discover secrets on making a huge impact in a rural setting, you will want to download this conversation for sure! The good, the bad, and the ugly of transitions. Veronica and I have four children. Raging from the ages of 10 to 26. We have moved three times as a family and it has not always been easy. In this very special episode I have the opportunity to sit down with my wife and kids as they openly discuss the "how to's" and "hurts" of transitions. Getting to the Heart of Leadership. This is our very first podcast where I interviewed Todd Gongwer the author of Lead for Gods Sake, a book that is affecting teams, and coaches everywhere! One of the things that Todd unpacks in this episode is the importance of not striving to be the best. I know you will love this conversation. These are just a few of the topics we will be tackling and leaders we are sitting down with the year at Lets Talk Life and Leadership. To listen and subscribe to the podcast just click the link below.